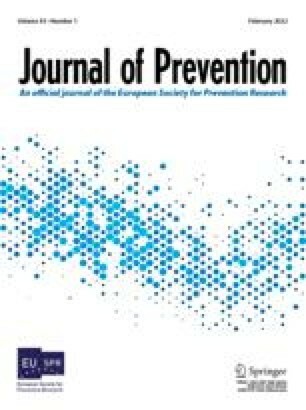 This research examined the effects at follow-up during middle school of a comprehensive elementary-school intervention program, the Child Development Project, designed to reduce risk and promote resilience among youth. Parental consent to participate in the middle school study was obtained for 1,246 students from six program and six matched comparison elementary schools. Three of the program elementary schools were in the “high implementation” group, and three were in the “low implementation” group during the elementary school study. Findings indicated that, studywide, 40% of the outcome variables examined during middle school showed differences favoring program students, and there were no statistically reliable differences favoring comparison students. Among the “high implementation” group, 65% of the outcome variables showed differences favoring program students. Overall, program students were more engaged in and committed to school, were more prosocial and engaged in fewer problem behaviors than comparison students during middle school. Program students who experienced high implementation during elementary school also had higher academic performance, and associated with peers who were more prosocial and less antisocial than their matched comparison students during middle school. Implications of these findings for prevention programming are discussed.